What makes a good postgraduate journalism application? So you want to do a masters in Journalism to get you that dream job in the media. The ideal University looks set to get you there: great connections, networking events, thorough grounding in all aspects of Journalism. The final hurdle? Getting into that University course. Work experience –we don’t just mean in your local newspaper. As a member of the Student Publishers Association we know you’re likely to have gone that extra mile and helped run a student media group so definitely write passionately about your experience here. Aside from this we also look out for: blogging, podcasting, running social media accounts, work with data, content production and editing –the list goes on. 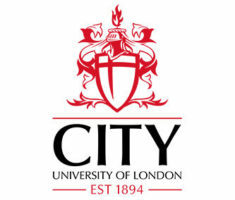 Good academic results –At City these are preferred but can be outweighed by strong journalism/professionally relevant experience. Transferable and soft skills -Show us that you have initiative, good interpersonal skills, a desire to communicate, evidence of ‘nosiness’ and a questioning mind. It is important to remember to include examples and evidence to back up claims rather than using empty statements. This will be seen through your personal statement and your written piece. Future goals – Show us through your interests now where you want to go and the drive this gives you. If you want to work in news than an absolute insatiable appetite for news is a must. If you want to work internationally show us an interest in languages and knowledge of in international affairs. The specialist routes are increasingly where we are seeing employment growth so anyone with experience and an interest in these areas will certainly be of interest to MA programme directors. Well written – It might seem obvious for a journalism course but not all applications that get to us are well written. Make sure all your documents are coherent and obviously demonstrate what your have done. Make sure your CV and personal statement are clear. We want sensible down to earth writing without purple prose or over promising. Show us how well you can communicate. Personalise and check each application – Make sure you don’t just cut and paste a generic personal statement – we often get applicants telling us how happy they would be to go to another college – because they have not checked their “round robin” personal statement and have just pasted it on to their application. Competition for the best University courses can be fierce so take the time to articulate why you belong there. Above all, our Journalism programme directors agreed, we’re not looking for the finished product. There is an emphasis is on us looking for potential rather than you knowing/having done everything! If you think you belong at City and truly believe you are a journalist, we welcome your application.